Prince Matchabelli is a Floral fragrance for women. 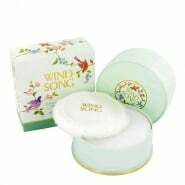 Wind Song was launched in 1953. Top notes are coriander, orange leaf, mandarin orange, tarragon, neroli, bergamot and lemon; middle notes are cloves, carnation, orris root, jasmine, ylang-ylang, rose and brazilian rosewood; base notes are sandalwood, amber, musk, benzoin, vetiver and cedar.